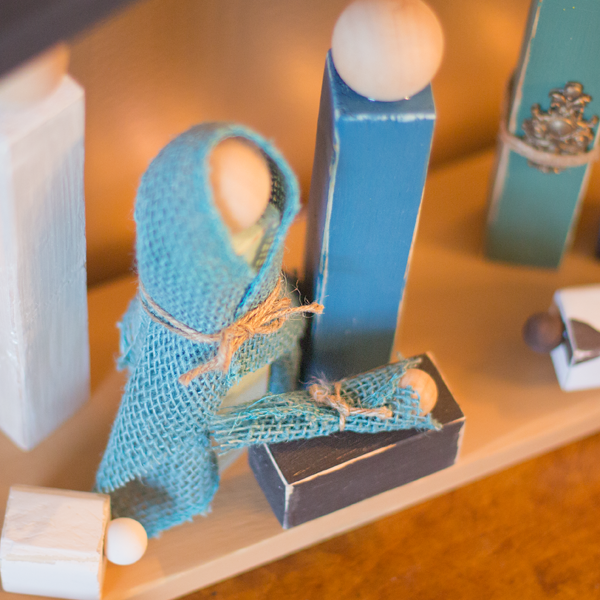 As Christmas gets closer, we’d like to show you how a few of our products can be combined in this beautiful nativity. 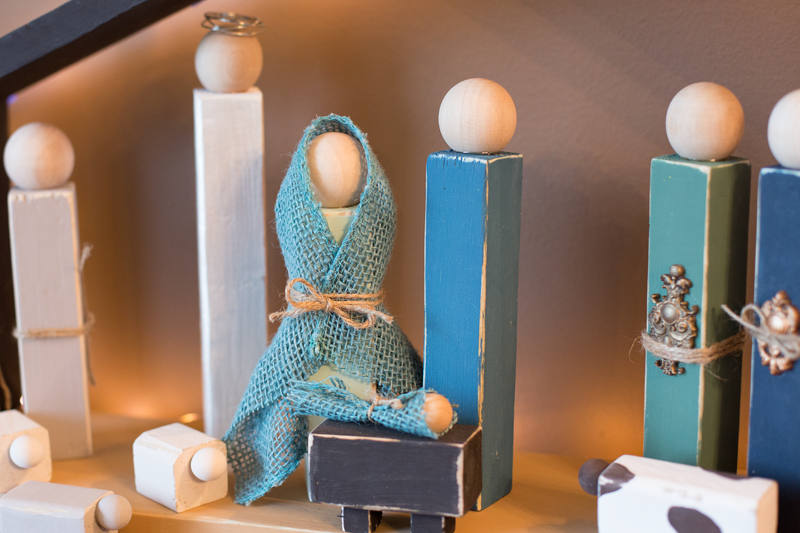 In this DIY tutorial, Lori Craig uses our DIY Paint System, Thibra Sculptable Thermoplastic and Better Ultimate Adhesive to create a basic, yet beautiful nativity. In the spirit of the season, today I’m sharing a nativity project that I have noticed on several crafting sites, and wanted to tackle myself. The fun thing about this project is that it can be scaled back to a few key pieces if you are short on time. It’s the perfect gift for a friendship where small items are exchanged each season - start with Mary, Joseph and the manger. Add the angel, wisemen, shepherds, animals, etc. in future years. My friend Darcie helped me last week in anticipation of Christmas, and we created three full nativity sets in just 2 hours (plus a 24-hour rest for glue to cure!). Supplies from Tommy ART, Thibra and Better Ultimate Adhesive take this project from simple to striking, and the first-rate quality of the supplies means my friends will enjoy these gifts for many years. Cut your character pieces from the 2x2 lumber and quickly sand to smooth any rough edges, especially at cuts on each end. The stable shown here is made entirely of scrap wood. My friend Darcie whipped this together for me - in 10 minutes, and I do not have a pattern or angles for the mitered cuts. The base is 6” x 20”. The sides are 7.5” tall on the left and 9.75” tall on the right. The roof pieces are 19.75” and 11.25” long. The pieces were glued with Better Ultimate Adhesive and secured with finishing tacks. The stable was painted with Dark Walnut and Honey Tommy ART Mineral Color. Use a natural bristle brush and apply thin swipes of Tommy ART neutral wax to all of the edges of each 2x2 pieces. Allow the wax to rest about 5 minutes. Paint each of the pieces and allow to dry. Gently wipe edges with sandpaper to remove hints of paint for a slight distress look. Tip: A damp cloth to wipe dust from pieces is helpful. Use a clean corner of cloth for each different color of paint. To apply heads, gently sand the top of each body and apply thin layer of Better Ultimate Adhesive AND also apply a thin layer of glue to the flat base of the round knob. (A special spreading tool is included with each tube of Better Ultimate Adhesive sold, but if that isn’t with your tube, a craft stick works great!) Allow the adhesive to rest on each piece for 1 minute and then apply pressure to match each head with a body. Stand upright and allow glue dry/cure. Adhesive will “set” firm in 2-3 minutes (this gives you a little bit of work time for perfect placement!) and will cure in 24 hours. Accessorize your wisemen with easy Thibra gifts. 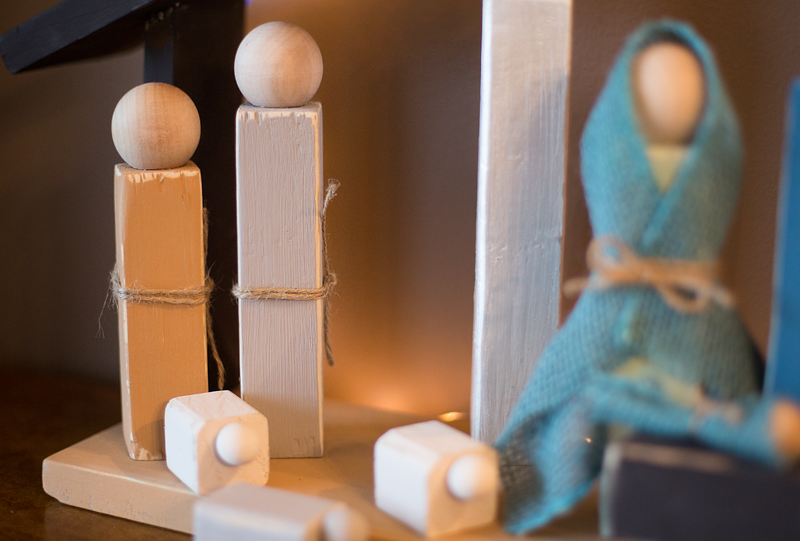 Next, you can glue gifts to the front of the wise men with Better Ultimate Adhesive and tie with jute belts. Our angel shimmers with Tommy Art Pearl Metallic paint and halo. To make the halo, wrap wire around a cylinder (I used the lid of a shampoo bottle), leave a 1-2” wire tail and secure to the back of angel head with Better Ultimate Adhesive. Tip: Secure halo in place with the stem down the back of the body using painter’s tape the head and the body before applying glue. Allow glue to rest and cure with angel face down on table. Wrap burlap scrap around Mary. Also tie a piece of jute around a scrap of burlap for the swaddled baby. Glue a small ½” knob to swaddling for baby’s head. If I am going to take the time to create, even on the most simple projects, I’m a stickler for quality. I know with Tommy ART, Thibra and Better, gift recipients will be enjoying this project for many a Christmas to come.